We can handle all your plumbing, polybutylene and water heater needs. Prompt service and quality work for your home, apartment complex or office building. We service all of Metro Atlanta and surrounding areas. Our gift to you just for visiting! Rely on us to become your Atlanta plumber! See what the Atlanta neighborhoods are saying about us here. We at Greenlee Plumbing, Inc., provide free estimates and upfront pricing of our services. We also fully inform you in all the necessary procedures before commencing any work. No problem is too big or small for our experienced technicians. We maintain our standards by providing a 100% satisfaction guarantee– any reported problems will be fixed right away. Quality plumbing work at affordable prices. You can be assured that all jobs performed in your home are of premium stature. 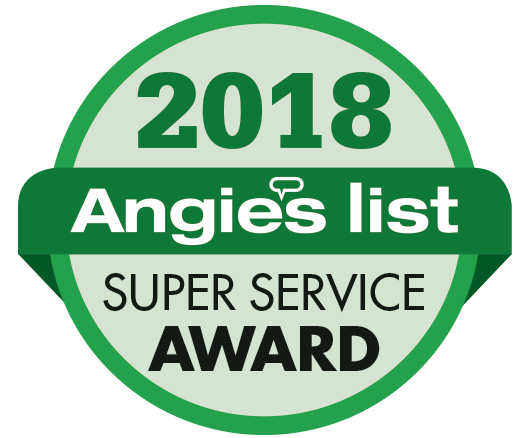 As a winner of Angie’s List 2017 Super Service award and an affiliation with the BBB, allow Greenlee Plumbing, Inc. to be the plumber you can trust. Why replace your defective polybutylene pipes in Atlanta? Commonly gray, white, or sometimes black in color, polybutylene pipes were selected as an alternative to copper during 1978 to 1995. However, it has been since discovered the lack of efficiency these pipes possess. They have been known to have a lifespan of up to only 15 years and can react intolerably to water-soluble oxidants over time. Looking to Have Your Water Heater Replaced? Most hot water heaters have an average life span of 12-15 years. If your hot water heater has not gone out yet, it could very soon. Let a licensed plumber like Greenlee Plumbing Atlanta inspect your hot water heater to see if it can be repaired or if needs a replacement. We offer Rheem water heaters and Noritz tankless water heaters. We quote water heaters over the phone, give us a call for a price! Do you have pinhole leaks in your copper pipes? Copper pipe replacement is our specialty. There has been a problem with copper pipes lately, especially in Cobb county, Ga. Many reasons can be attributed to this, poor installation methods, water content, to much iron in the copper pipe, and poorly grounded systems, which will cause electrolysis, leading to corrosion from within. If you are in Kennesaw, Acworth, Marietta, Roswell, Woodstock, or surrounding areas, we can help you with our turnkey pipe replacement services that also include all drywall repair and painting. Greenlee Plumbing does a fantastic job a reasonable prices. We had to use them twice on two separate issues and they were very prompt and professional. My father was a professional general contractor for 40+ years and I greatly respect those in the industry that have high standards and do quality work. Greenlee Plumbing exemplifies that. First, Mr. Greenlee responded to my online inquiry immediately. When we spoke on the phone he asked a couple of questions about the issue and quickly determined that the problem the water main. He proceeded to provide me with a price right there, which compared to the other three quotes that I received from others - it was 60% lower. Though I was skeptical because of the price differential, I am very happy that I moved forward with Greenlee. Brian arrived on time and did an outstanding job! He is very professional and explained everything he was going to do in detail and in a manner, I could understand. He also took the time to let me know how much time it would take (which was dead on! )If I could give Greenlee 5 A++ on here, I would. I truly appreciate the honesty and fair price for the job done and the responsiveness. I am confident that if anything was to arise, I can expect the best from them. They have just gained a new client and someone else is losing one. Very professional with great communication. Job completed on time and to my satisfaction. Had a minor issue, reached out to Greenlee, and it was resolved the same day. Great customer service. I did a whole house repipe and the work was done quickly and with great workmanship. Highly recommended. My home is in Smyrna, GA. Greenlee Plumbing has provided several quality and quick response services for me including replacing all the poly pipes in my 3 story townhouse. I am also a Realtor and I would recommend Greenlee Plumbing to my clients, so you know my opinion without question is that Greenlee Plumbing will do you a great job and if something doesn't not meet your expectations they will return quickly to resolve any dissatisfaction. Thank you for your excellent quality service and customer service. Greenlee replaced the gray poly pipe in our 4-bedroom, 3.5 bath West Cobb home and hooked up a re-circulation pipe to our tankless water heater. All this was accomplished in one day with a four-man crew. Drywall repair and repainting was accomplished the next day in about six hours. I have since found out that Greenlee has re-piped several other residences in our subdivision. All of us are very pleased with their service. © 2019 Greenlee Plumbing | Design by: Abysmal Blue, Inc.